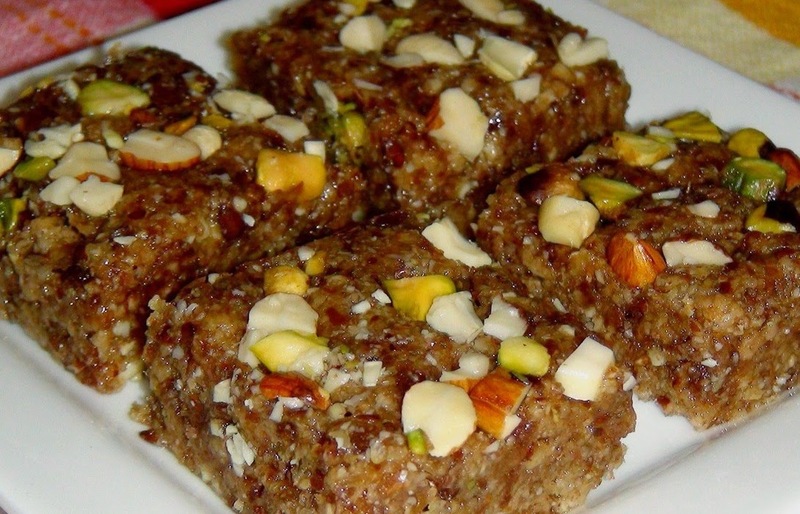 Top 5 Traditional Winter Mouth Watering Sweets that anyone can't resist.........!!! Its time to eat some delicious Gujarati Winter Food, traditionally called Vasaanu or Vassana. Chikki is a traditional Indian Crunchy Sweet generally made from Peanuts and Jaggery. Hard boiled sugar or jaggery encasing winter goodies like peanuts, almonds, cashews, pistachios, puffed rice, sesame seeds, bangal gram and coconut. 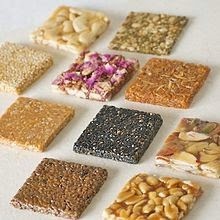 There are several different varieties of chikki in addition to the most common Groundnut Chikki. But today there are many different exotic flavors available in the market. It is healthy, delicious and mouth watering too!!! 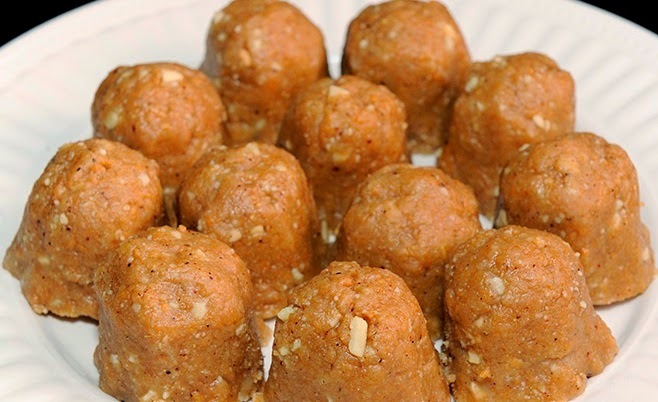 Adadiya Pak is a Classical Kathiyawadi recipe. 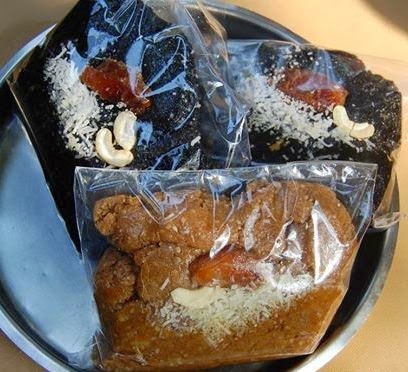 It is a kind of Barfi which is made from Black Gram Flour, Sugar and Edible Gum spiced with nutmeg, cardamom, cinnamon and dry fruits. It is Melt in Mouth sweet. Kachariyu is ground black or white sesame seeds mixed with jaggery , dates, coconut and dry fruits. The word 'Kachar' means 'Crushed'. It has a luscious creamy texture (black or white) due to sesame oil. You will definitely ask for more by having this shiny kachariyu. 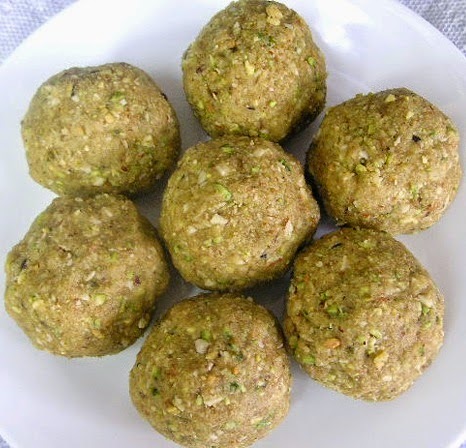 Having one Methi Laddoo in the morning will make you feel Energetic and Warm through the day. Fenugreek or methi seeds are roasted in ghee and ground to a paste which is cooked in milk jaggary and wheat flour to make a dough spiced with pepper powder, nutmeg, cardamom, almonds, cashew, edible gum and ginger powder making it so delicious that one can't resist. Gundar means Gujarati version of Edible Gum. Edible gum is ground to a powder and fried in ghee and cooked in milk and flavored with ginger powder, almonds, pistachios, poppy seeds and coconut. Edible gum is used in many varieties of Gujarati sweets. It tastes delicious and have many health benefits.